So I have mixed feelings about this book. I have no idea where I got this book or how it ended up in my house, but it was there, so I read it. This book received a lot of recognition at the time it was published. The author, Mariá Dueñas, is a full time teacher. 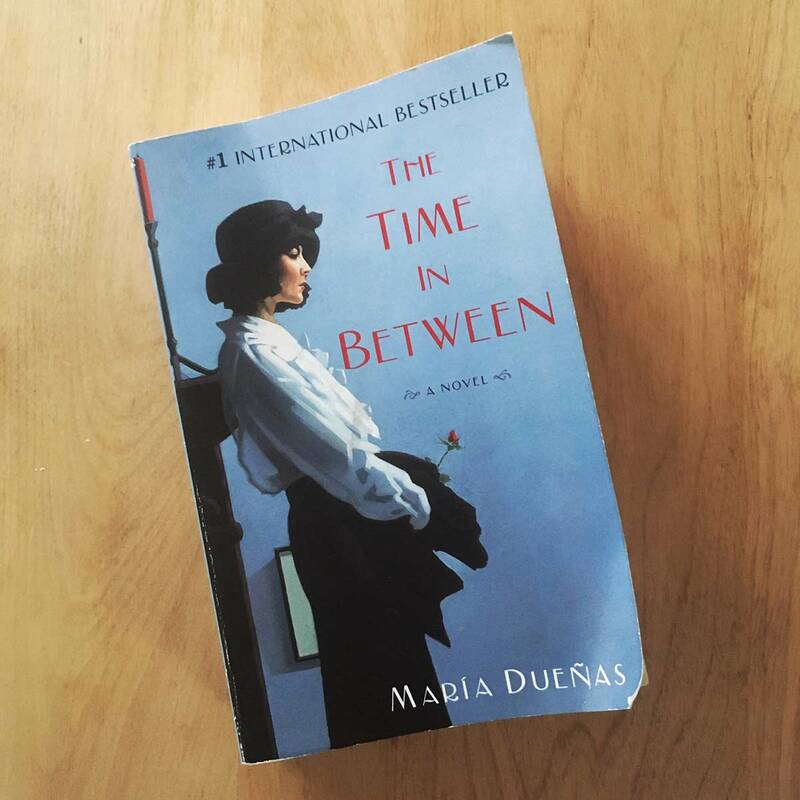 The Time in Between is about a seamstress who gets caught up in the politics and espionage of WWII. She ends up fleeing Spain for Morocco, then back to Spain and eventually on to Portugal. What starts out as an innocent refugee story turns into a campaign against the Nazi. What I loved about this book was timeframe and location. Having been to Spain and Morocco this book made me want to board a plane and revisit. It still feels somewhat uncommon to read a book written by a female author, covering a female main character while covering a topic mostly reserved for men. At times during the book I found myself thinking “I think this book is truly written for a female audience,” but then I found myself wondering “Why am I thinking that?” “It’s a good story, regardless of who did what and for whom.” We need more authors doing this, and I need to further open my mind. This is a 600+ pager but reads effortlessly. This sounds interesting, and a bit similar to Jacqueline Winspear’s “Maise Dobbs” series, set in World War I London. Like you I enjoy the timeframe and location of these stories (I’ve read two). They aren’t 600 pages, though. You may want to try one out. Thanks for the recommendation. Sounds interesting…. I like that you picked up a book outside of what you usually read. It’s always good to expand the mind and see different viewpoints. I can see how picking up a novel written by a woman can give the impression that it’s just meant for women. I get that too when I come across books of a certain genre written by men. A few years back I read The Rosie Project, by Graeme Simsion. It’s no love story set against the backdrop of war, but I was pleasantly surprised on his take on romance and dating; especially from the male point of view, and considering it was his debut novel. Me too. The borders of “women only,” or “men only” subject matter are falling. Daniel, check out the mini-series on Netflix.